We are a small family owned business specializing in manufacturing aluminum docks since 1999. We custom build each dock at our facility in Vermont. 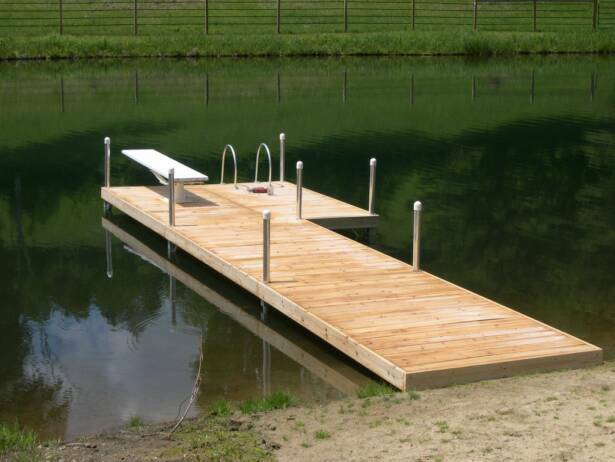 Our docks are built to meet our customer's needs. We are confident that our customers will be happy with our products and services. We also sell stock aluminum, perform custom fabrication work as well as fabricate aluminum truck racks. We stopped manufacturing trailers in 2006 but we are still doing trailer repairs and selling trailer accessories.